Instead of £262.00. You save £13.10 due to the online discount . 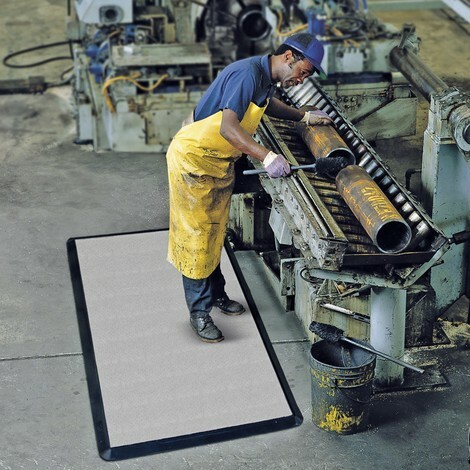 The anti-fatigue mat made of fabric provides your employees with a cushioned and non-slip surface on which to stand when working. 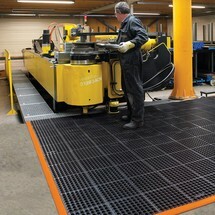 The floor mat is particularly suitable for use in areas where oil must be collected. 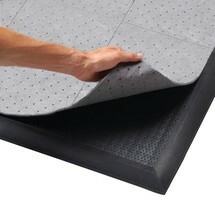 The fabric mat absorbs both vibrations and noise. 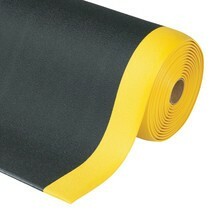 Cushioned nitrile rubber is used on the top. 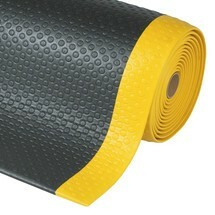 The soft material ensures comfortable standing and is also resistant to oils. 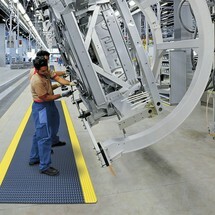 This allows you to use the floor mat in industrial areas. 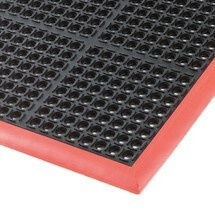 The rubber surface is also provided with studs, which provide a firm grip on the surface. 4 sloped corners ensure trip-proof walking. 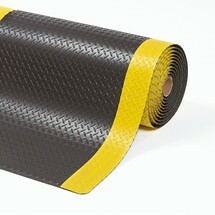 Dripping oil is absorbed by the fabric insert placed in the floor mat. If necessary, simply replace the fabric insert with a new one. The inserts can also be ordered as accessories from our shop. 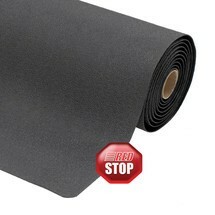 Order the anti-fatigue mat with fabric and nitrile rubber from our shop.